This is a set of 16 black and white and color word sets. Each image is a .png file with high resolution. This word set is great for adding a little pizazz to your class newsletters and worksheets! 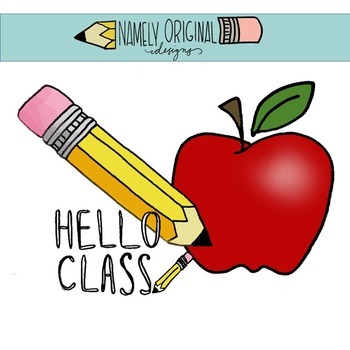 Included in this set are phrases like "Hello Class!" 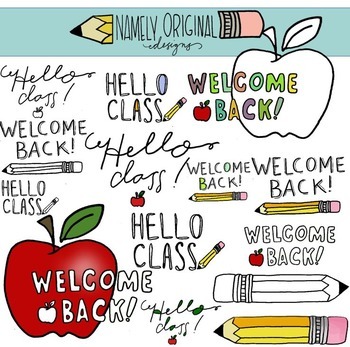 and "Welcome Back! ", as well as images of an apple and a pencil.